Share the pride and professionalism, join TSNO now! TSNO, the only professional organization in the state that exclusively represents the interest and practice of school nurses. Promoting, protecting, and enhancing professional school nurse practice through advocacy, education, collaboration, and partnership. Leading the way to excellence in professional school nursing practice and quality school health services. School nursing, a specialized practice of nursing, protects and promotes student health, facilitates optimal development, and advances academic success. School nurses, grounded in ethical and evidence-based practice, are the leaders who bridge health care and education, provide care coordination, advocate for quality student-centered care, and collaborate to design systems that allow individuals and communities to develop their full potentials. Approved by the NASN Board of Directors Feb 2017. 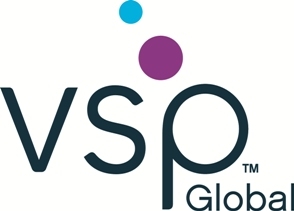 VSP Vision Care extends its Sight for Students, an Eyes of Hope gift certificate program to members of TSNO through its affiliation with NASN. This program provides gift certificates for a free eye exam and, if prescribed, new glasses that NASN members and other community partners can distribute to students 19 or younger who qualify. Learn more.